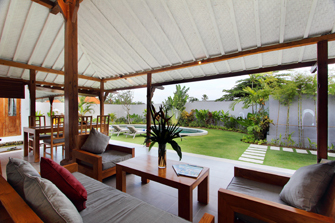 Villa Kiri Kanan is a charming house well located in Canggu available for rent in Bali. 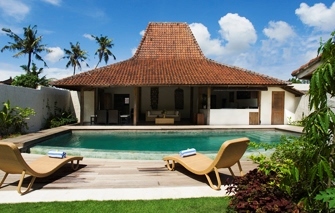 Strategically only 5 minutes drive to the beach, Canggu Club (Sport Center) and Canggu Plaza. 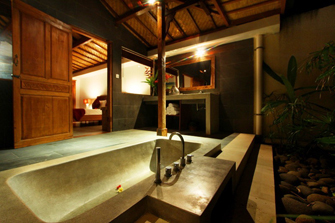 The villa consists of 3 bedrooms with private bathroom. 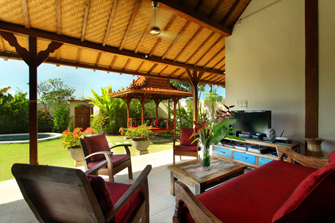 The living room is open style attached with dining area and kitchen. 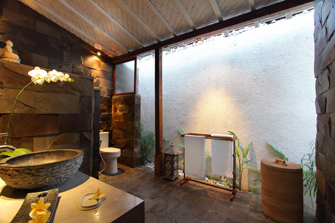 The interior performs modern style and combines with traditional Joglo style which uniquely offers you a comfortable stay in Bali. 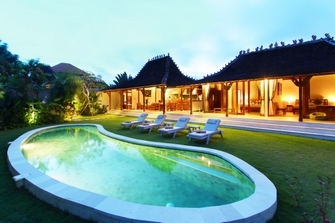 The villa is perfect to accommodate up to 6 people. 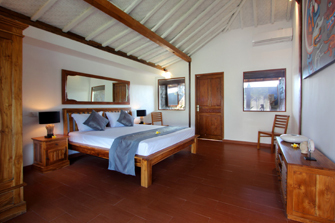 Each room is equipped with kng size bed, wardrobe, safe and connected to en-suite bathroom with bath tub in the master bedroom. 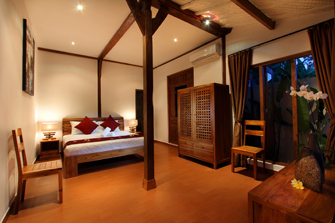 The wooden furniture in the property is well selected to convince your comfort. The sits in the living room are facing to the garden. 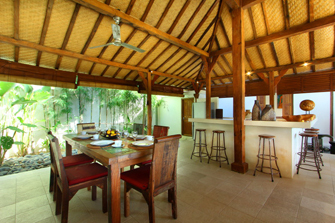 The dining table is situated between the sitting space and kitchen. 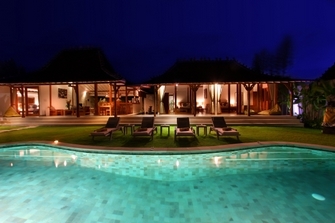 Feel free to enjoy your evening to sit on bar chairs placed by the kitchen and overlooking to the garden and swimming pool. 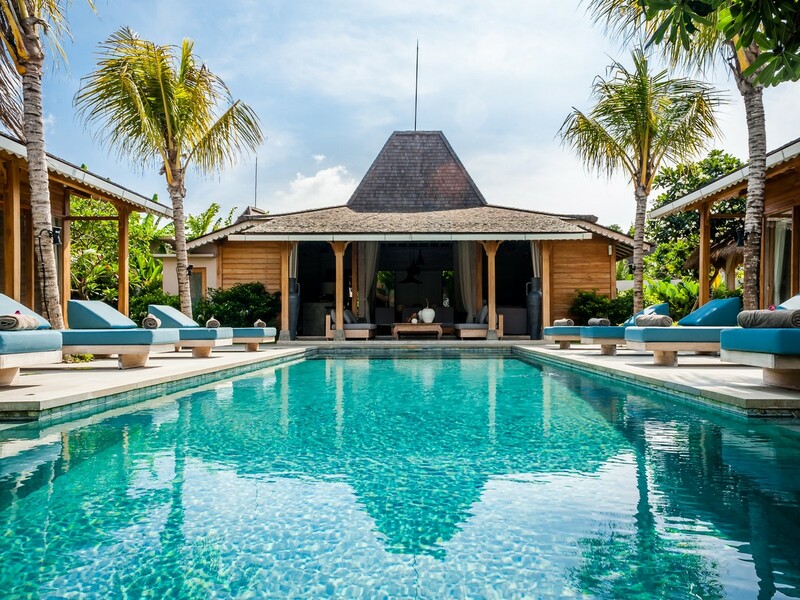 The villa has lush garden and private swimming pool with sun decks which is perfect to soak the sun or chill out in the bale. 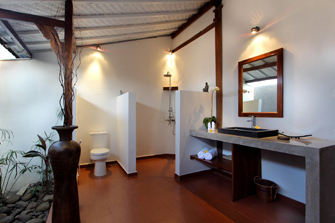 The house also facilitates you with unlimited internet access and TV set for entertainment. 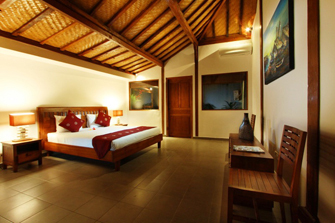 The houseâ��s staffs will be available to assist you during your stay. 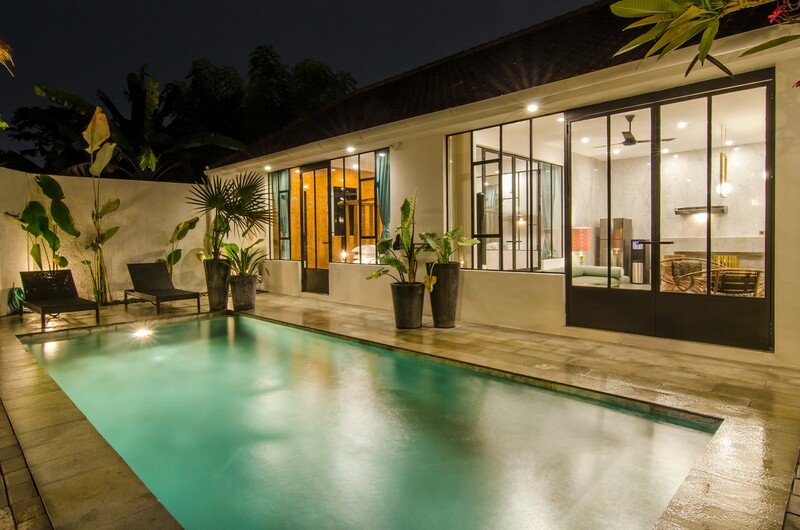 Villa Kiri Kanan is an affordable renting suitable for family or friends who expect total privacy and tranquility in Bali.